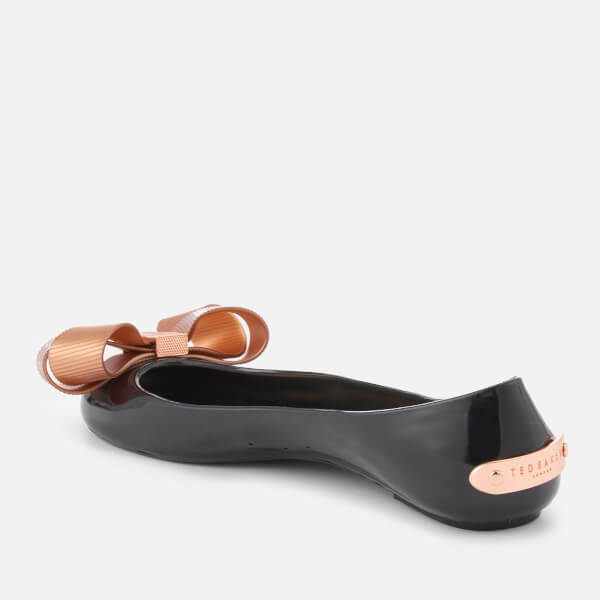 Women's ballet flats from Ted Baker. 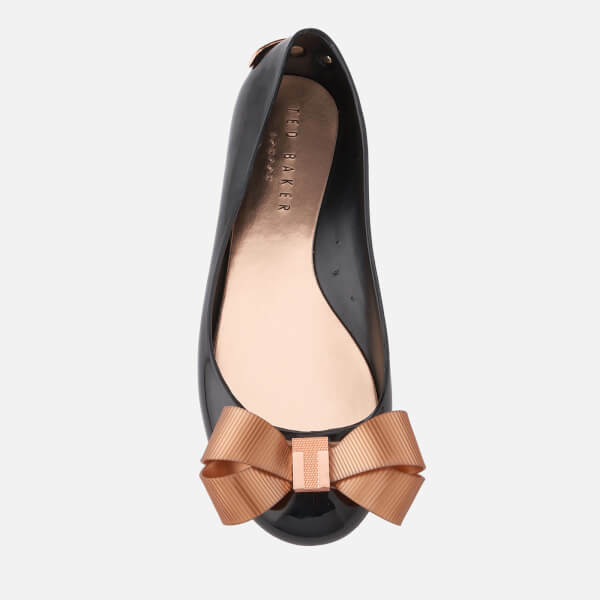 Crafted from high shine PU, the 'Larmiar' pumps feature a rounded toe with large, 3D bow embellishment and rose gold hardware detail. 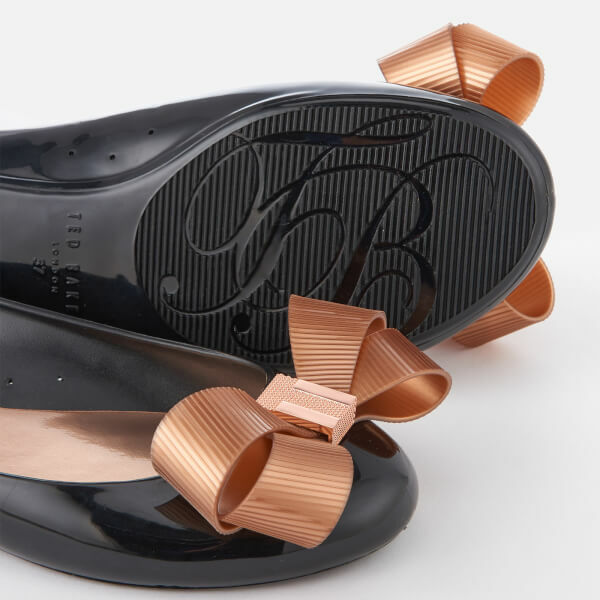 Complete with three ventilation holes to the inside foot and rose gold, branded plaque to the heel. Upper: Polyurethane. Lining/Sole: Other Materials.